What's the difference between MySpeed and MySpeed Premier? * Note: MySpeed works with videos downloaded to your computer; it does not provide the ability to perform the download process. Use RealPlayer video downloader or other video downloader available from sites such as Download.com. 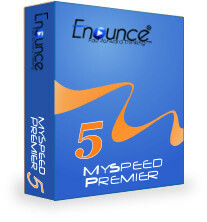 MySpeed will only be able to control the playback speed on supported FLV & MP4 players. See our tutorial for more information.